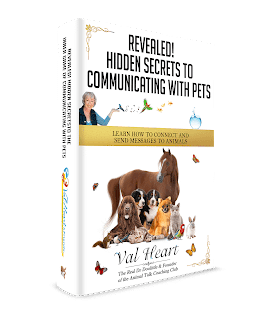 Penelope Smith, the Founder of Animal Communication, asked me to be the Featured Animal Communicator in her Species Link Magazine. Horses, pigs, chickens, dogs, cats, birds, guinea pigs, rabbits, fish, mice… all taught me how to be the human being I am today. I’ve been on television and radio many times, have subscribers, clients and students all over the world. I have been a columnist for Enjoy Whole Health Magazine and am a contributing writer to many other publications. But, I started out a lonely only child in an isolated rural area outside of Austin, Texas. I was lucky to enjoy the company of many animals growing up and they were my best and most constant friends. When I was five years old, I fell in love with horses. My parents took me to a school fair and I discovered that one of my classmates, Nora, had horses. Her father trained horses for the cavalry, and they had brought one of their horses to the fair for us to ride. Nora and I became fast friends, and I spent as much time as possible at her house learning to ride and handle horses. I began training and handling horses professionally when I took my first job at 12 years old as a horse wrangler for a summer day camp in Austin, Texas. I was in charge of 2 Thoroughbred geldings and 5 ponies. In addition to managing the horses, their facilities and care, I also helped teach the campers how to handle the horses, to be safe and learn how to ride. I was given the task of training a 5 year old, here-to-fore unrideable, fat, sneaky, willful, obstinate, spoiled and very beautiful pony named Pearl to carry a rider and pull a cart. She had a great sense of humor and taught me so much. I successfully managed to train Pearl to be ridden by my more advanced riders, but never figured out how to teach her to pull the cart. At the time I had no one to ask except the horses, and in retrospect, I was intuiting how to best accomplish the tasks I’d been given by being in partnership with the animals. Looking back, I see very clearly that my connections and way with animals had much to do with my telepathic gifts. I didn’t know how I knew what they felt or needed or were thinking, but I did. I was known for being able to befriend wild animals, feral cats, dogs and many others. For instance, I knew Pearl wasn’t interested in dragging a cart around, and I didn’t have the heart to force her (plus she weighed a lot more than me! ), and I didn’t know how to make it fun for her. She taught me so much and the experience is one of my treasured memories. What I’ve learned is that all animal lovers pick up information from their furrkids all the time. Most simply don’t know how to direct the conversations, or what to do with the information. And that’s why I created the Animal Talk Coaching Club, so we can have mind and heart expansion conversations that will help you develop your intuitive skills, accuracy and ability to connect at a deep, heartfelt level.